According to scientists, the El Nino weather pattern, which can drive droughts and flooding, is underway in the tropical Pacific for the first time in 5 years. Australia’s Bureau of Meteorology predicted that El Nino could be a “substantial” event. The phenomenon arises from variations in ocean temperatures. The El Nino is still in its early stages, but has the potential to cause extreme weather around the world. 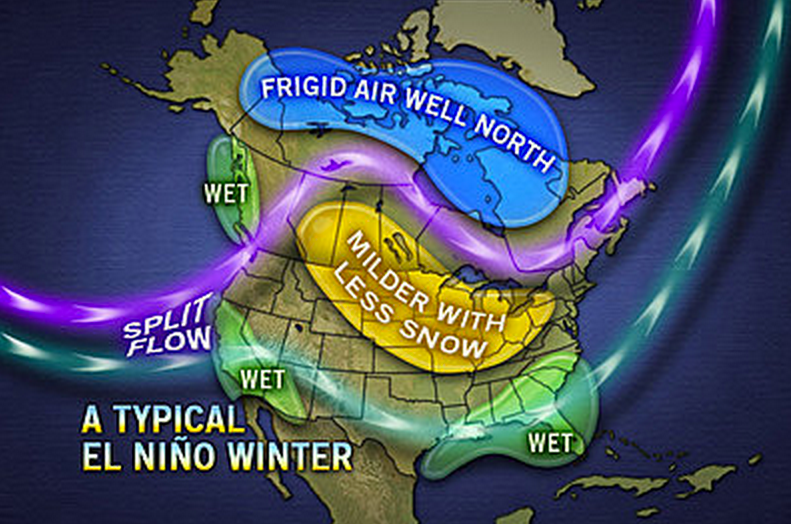 US scientists announced earlier in April that El Nino had arrived, but it was described then as “weak”. Australian scientists said models suggested it could strengthen from September onwards, but it was too early to determine with confidence how strong it could be. “This is a proper El Nino effect, it’s not a weak one,” David Jones, manager of climate monitoring and prediction at the Bureau of Meteorology, told reporters. El Nino had been expected during last year’s record-breaking temperatures, but failed to materialize. The last El Nino in 2010 was linked with monsoons in Southeast Asia, droughts in southern Australia, the Philippines and Ecuador, blizzards in the United States, heatwaves in Brazil and extreme flooding in Mexico. El Nino is a warming of the Pacific Ocean as part of a complex cycle linking atmosphere and ocean. The event is known to disrupt weather patterns around the world, and can bring wetter winters to the southwest US and droughts to northern Australia. The consequences of El Nino are much less clear for Europe. Extreme weather events like El Nino will become more intense as global temperatures rise, researchers say.